Virtual instruments are plugins that reproduce the sound of existing instruments (piano, drums, violin, hardware synthesizers, etc. ), or even produce sounds created from scratch (beatbox, soft synths...). 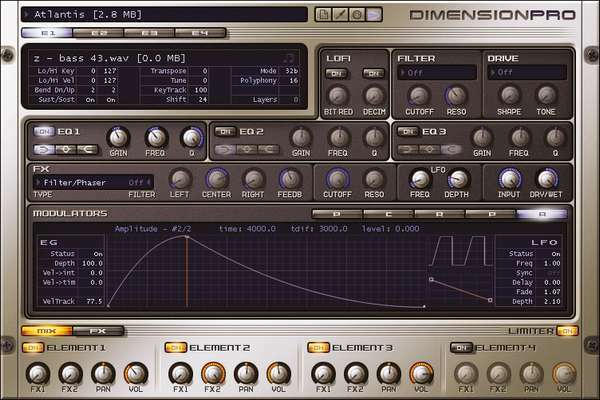 Some VSTi are very simple, with few settings and few sounds, others are very complex with dozens of settings, rich sound banks and a lot of disk space needed. The offer is huge, with either free or retail VSTi. You can find almost anything, from classical instruments to the most exotic ones. New instruments are released all the time, and there are so many of them that it's hard to choose. 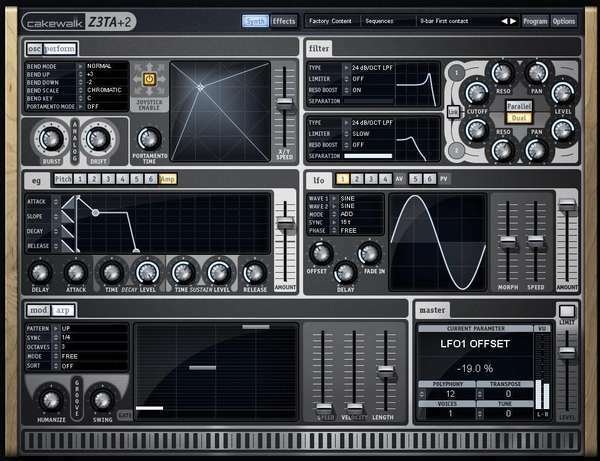 Most DAWs come with at least some virtual instruments. It's certainly the most complete instrumental world, as the only limit to creating new sounds is your imagination. 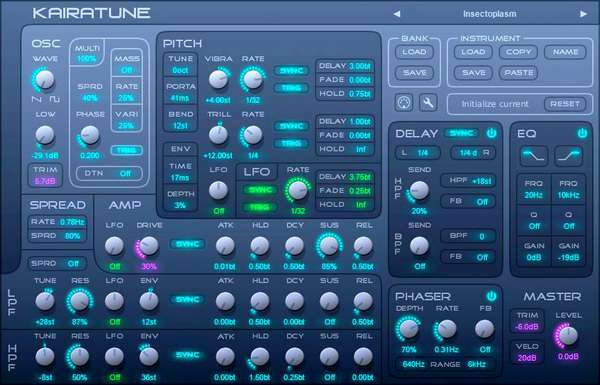 As it's absolutely impossible to make a list of all existing virtual synths, I will give you a link to an excellent site where lots of free VSTi are presented, with download links, descriptions and also some sound samples: Burnie's site. 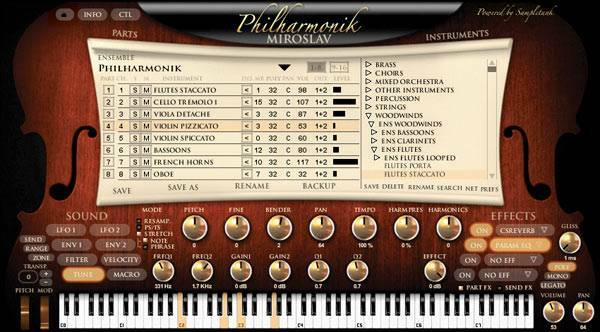 I regularly use the synths provided with my DAW Sonar, like Dimension Pro, Rapture, and also other free or retail VSTi, like Miroslav Philharmonik for orchestrail instruments, or Z3TA+2 for modern sounds. 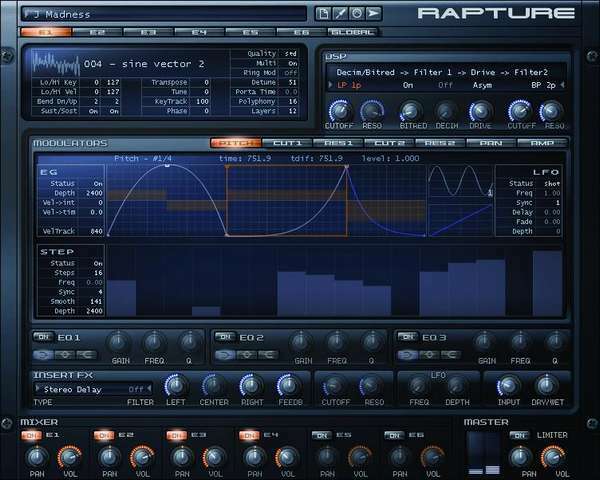 Soundfont is a method created by the company E-mu, which allows to stock WAV samples in a file, and organize them in the form of MIDI instruments, in order to use them with a VSTi. I remember that, originally, you had to own a Creative Labs soundcard to use Soundfonts. Nowadays, these sound cards are pretty rare, but plugins allow you to use Soundfont-compatible sound banks with any DAW. There are many Soundfont sound banks, in the SF2 format, and their sound quality varies from mediocre to excellent. It all depends on how they were created. You can find some on this page, as well as links to other sites who offer Soundfonts. You can find all sorts of instruments, like bass sounds, guitars, pianos, saxophones, accordions, drums, bells, xylophones, violins, vocals, flutes, etc. 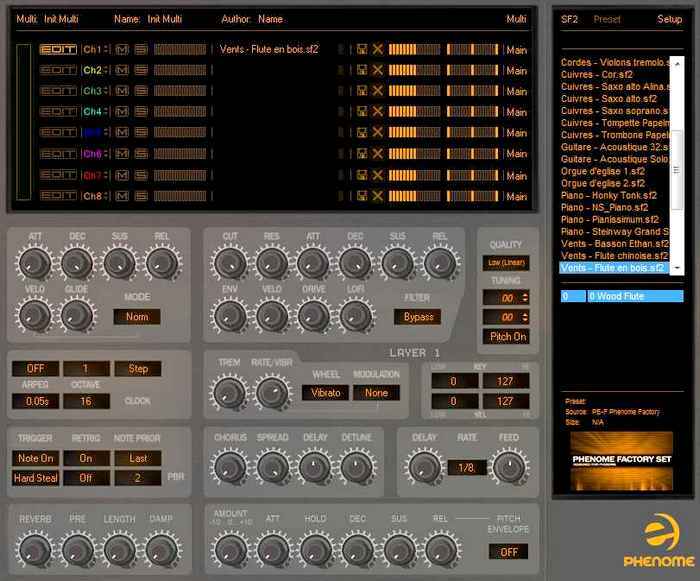 Phenome is a free VSTi in which you can load and use Soundfonts. As the official website seems to be gone, here is the file to download: Phenome ("VSTi - Phenome (soundfonts).zip" file - 3.69 MB). PC only. You can find MIDI sound banks, audio drums loops of varying quality, or software that generate electronic drum sounds, but for Rock music, you need good acoustic drums sounds. There are excellent VST plugins, but quality comes to a price. I use BFD3, which offers sounds of excellent quality, as well as numerous options to actually forge the drum sound you like. The interface is clear and complete. A very good choice. BFD 3 is indeed excellent, but it requires a rather powerful computer with a lot of RAM memory, because it's very demanding. it's also not easy to master, and if you don't intend to take some time to learn how to use it, the result may not be up to your expectancies. It doesn't sound great right away, you need to edit the settings but on the other hand, you have control over every parameter and the result can be impressive and sound just like real drums. They both come from the old Drumkit From Hell sound bank. 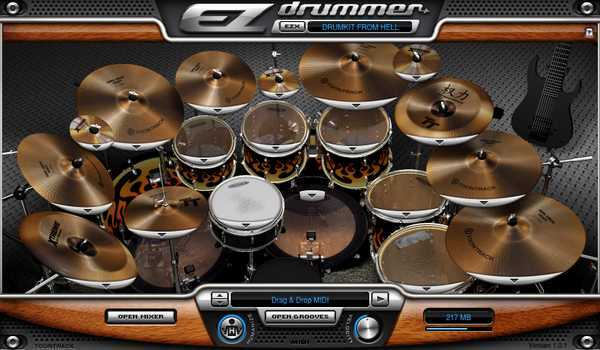 Superior Drummer is very complete, and EZ Drummer is less expensive and easier to user, yet not as customizable. 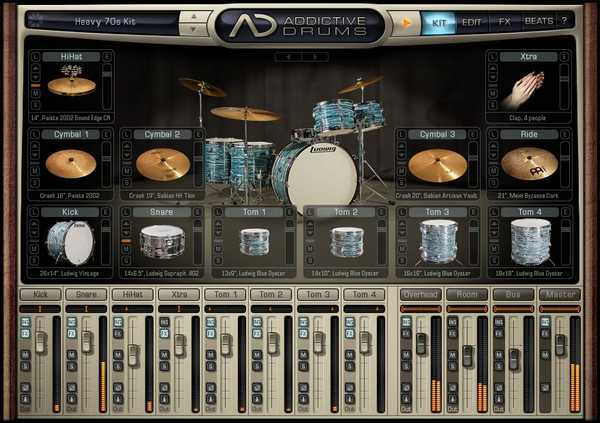 Simpler and more immediately satisfying than BFD or Superior Drummer, Addictive Drums offers settings and presets that will easily match your mix without tweaking. Control over the sound is not very extensive, though. This software is now included in Sonar X3 Producer.